Sharia came to Florida, and it was not so bad. Tennessee lawmakers rewrote their anti-Sharia bill to turn it into a material support for terrorism law. Mississippi Gov. Haley Barbour, former Speaker Newt Gingrich, former Arkansas Gov. Mike Huckabee, and Minnesota Rep. Michele Bachmann demonstrated their presidential bona fides by cozying up to Bryan Fischer, a far-right radio host who thinks the First Amendment doesn’t apply to Islam. He’s also written that “deaths of people and livestock at the hands of savage beasts is a sign that the land is under a curse.” That last sentence was about grizzly bears. 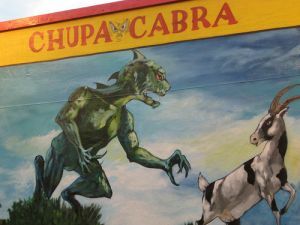 Chupcabras are, apparently, not real. But in their absence, the Rev. Franklin Graham has a new terrifying bogeyman for you: It’s called the Muslim Brotherhood. Texas pseudo-historian David Barton (among others) also subscribes to Graham’s view. Which is why it was so surprising—or maybe not—to see Newt Gingrich lavishing praise on the WallBuilders founder at an American Family Assocation forum on Friday. Requisite Terry Jones disclaimer: We fully acknowledge that Gainesville pastor Terry Jones has a following of about 30 people. Requisite Terry Jones update: The Gainesville* pastor celebrated “International Judge the Quran Day” by putting Islam on trial—as one does. Islam was found guilty, and Jones carried out the sentence by, finally, burning a Quran. Explained Jones, “We tried to set it up as fair as possible, which you can imagine, of course, is very difficult.” Quite. *This post originally stated that the Rev. Terry Jones’s church is in Orlando.